Canberra trainers are back in business at Randwick, with Sei Stella winning the second of three TAB Highway Handicaps since ACT horses were allowed to re-enter. Favourite Sei Stella has blitzed the field to comfortably win the TAB Highway Handicap at Randwick. Sent out at $3.80, the Matthew Dale -trained four-year-old streaked away to claim victory in Saturday's 5 f sprint by 3-1/4 lengths ahead of Lifesaver and Prince Planet . 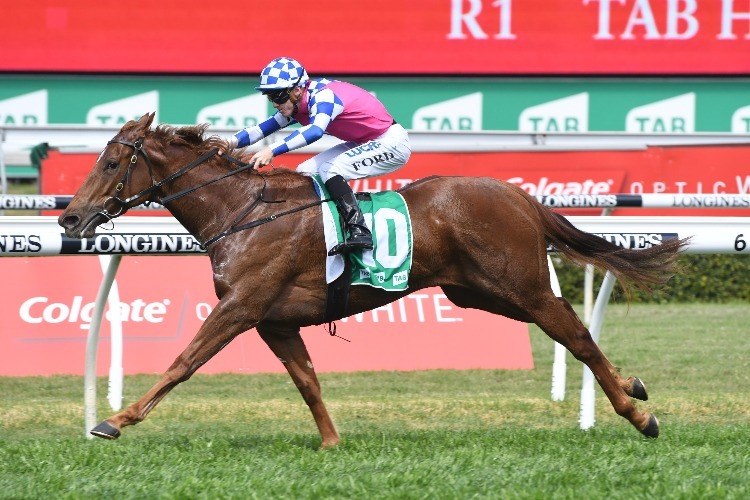 It was the second win in the past three Highway Handicaps since Canberra-trained horses were reinstated to the races restrictd to country-trained horses. "It's really good to be back," Dale said. "We had a year off but a few things have changed." Sei Stella was first-up off a spell after claiming two firsts and a second in her first four starts in the autumn. "This filly showed us a good amount of ability last prep and just wasn't quite seasoned enough," Dale said. In hot conditions on Saturday, Sei Stella was sweating up in the mounting yard but was untroubled out on course. Dale is not sure what's next for the promising runner. "We'll just take it one run at a time, naturally," he said. "She's only lightly raced and the owners don't put me under any pressure. So we'll just listen to her. "But good to see her return in that fashion." Dale's long-time country training rival Matthew Dunn was delighted with the runner-up Lifesaver as he casts an eye down the track to the $1.3 million Kosciuszko on October 13. "Lifesaver took a step forward towards Kosciuszko selection with a solid second," he tweeted.